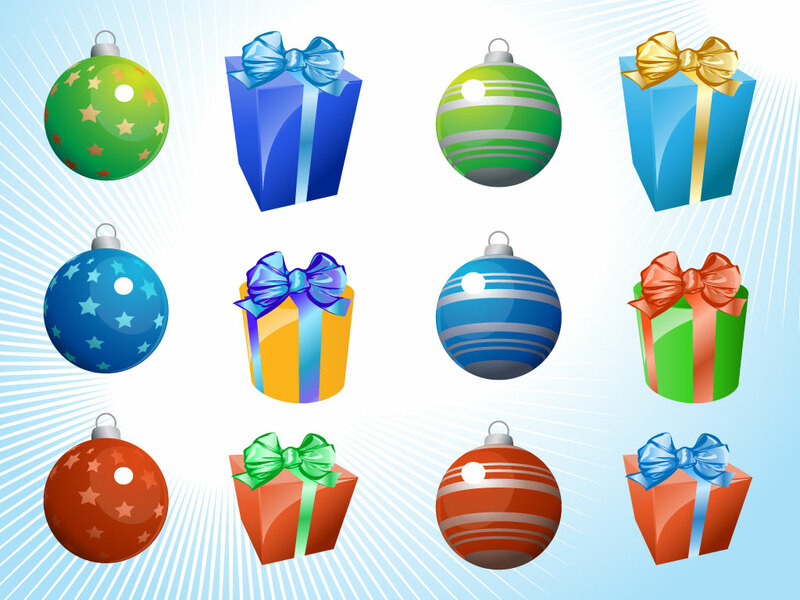 This vector pack comes with glossy New Year presents and Christmas balls for you to create festive greeting cards, brochures, invitations and seasonal marketing. Zip file comes with AI, PDF and JPEG format files. Tags: Bauble, Christmas, Gift, Holiday, Noel, Ornament, Present, Winter, Xmas.